What Stops Golfers Joining Clubs? Regular golfers can be roughly divided into two key groups - club members and non-members - which conveniently was the near 50-50 split in respondents to the 2018 Golfshake Survey, canvassing the views of thousands to help create a constructive picture of the challenges and opportunities that the game has been presented with. We have explored many of the survey findings through a series of detailed analysis articles, but in this feature we have studied the comments left by those registered as non-club members to pick out recurring themes to identify areas that dissuade these golfers from taking up memberships. Ultimately, many golfers - the highest proportion of those who commented - are happy with their position as being nomadic, and don't see any reason why they would change that status. 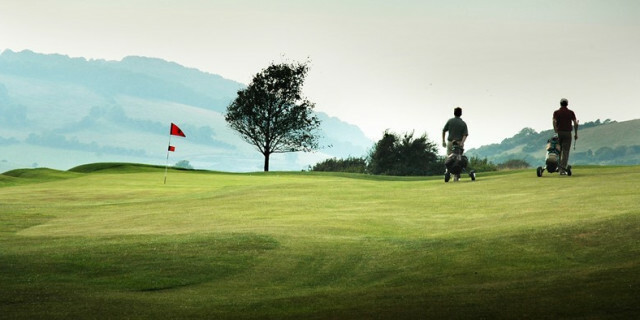 However, following on from that initial group of comments, many responses to the survey expressed a wish to see multi-course or reciprocal memberships introduced more widely, providing golfers with the opportunity play a greater variety of layouts under the banner of a regular subscription, which could point a future to clubs in towns or regions looking for unity between themselves. One golfer in Scotland noted that an arrangement like this already exists in Aberdeen for the council-run courses. Though improvement was reported by some golfers, many still nonetheless find the perceived attitudes and apparent snobbery of club members to be discouraging, suggesting that work is still required with regards to welcoming visitors and providing a friendly environment for new members. Memberships are perhaps more ideally suited to retired people - those who don't face the same time pressures as working families - but nonetheless senior golfers believe that the rates are too expensive and better options are required to draw in older players. But there are golfers who looking forward to reaching retirement age and taking up memberships. Due to a lack of time, many golfers - particularly those of working age - stated that they could only play at select times of the week, making a full, annual membership redundant. They regularly cited a hope to see more flexible options made available by clubs to accommodate their specific needs. Our previous reporting on this subject found similar results. Memberships are designed to benefit the retired. Weekends are the only time a Mon-Fri employee has available to play but the courses are expensive then and unavailable. This is an extension on the previous topic of golfers seeking greater flexibility and hoping for weekend memberships, with many respondents to the survey not seeing the value for money in paying 12-month subscriptions due to the often prohibitive weather of winter and subsequent course closures. This was an issue cited in our previous research. Many club memberships still require joining fees, which can at least be an equivalent expense to a subscription. This is an additional cost that some of the nomadic golfers who responded to our survey are unable or unwilling to pay. Ultimately, many nomadic, casual and society golfers are happy with that situation and have no desire to change it, but there are clearly some areas of restriction that put off potential members. Whether that is a subject the game addresses now or in the future remains to be seen, but with challenges come opportunity, and there is a pool of golfers who could potentially be drawn into clubs under the right circumstances. Is This How We Grow the Game of Golf? What Stops Golfers Playing More? How Do Club & Non-Club Golfers Differ?